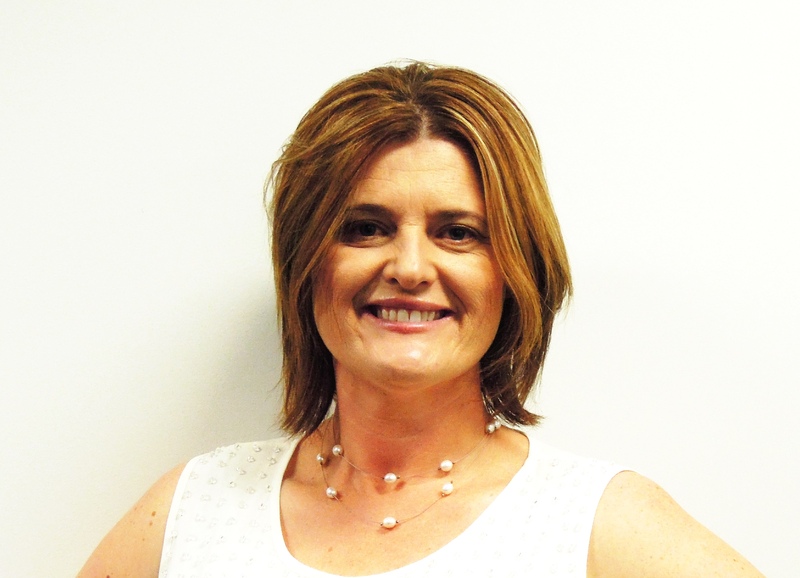 Sarah Gatehouse has 20 years’ experience working in HR and currently leads the Human Resources department for Fujitsu General (Aust.) Pty Limited and also acts as a member for the organising committee of the National Association of Women in Operations NSW branch. This year, Macquarie University’s Women Management Work conference ’The Power of Inclusive Leadership Through Collaboration,’ to be held on November 6th at the Four Seasons Hotel in Sydney, will be featuring Sarah as a keynote speaker. I had the chance to chat with Sarah about her journey in HR, her speech at the conference, and about what gender balance in the workplace means to her. Could you tell me about how you got started in HR and what about HR interests you? Once I finished my HSC I decided I didn’t want to work in admin for a long period of time, so after I checked the TAFE handbook I felt that HR suited my personality as I enjoy dealing with people. I then proceeded on a lifelong journey of learning and growing. I studied for seven years part-time and I worked initially in recruitment and then progressed to an HR Assistant role. I got experience through being a generalist. I like dealing with people and contributing to their growth through training and career, with a focus in more recent years to contributing at a senior level, transitioning more to a cross-functional business partner rather than just HR focus. Can you tell me about your journey to the role you are at now at Fujitsu General? I’ve been with Fujitsu for 12 months. I started initially working in the manufacturing industry under a really strong mentor where I learnt a lot about HR and safety. When she left I thought I was ready for her role but probably wasn’t, so I went through a number of positions where I was in stand alone roles, primarily setting up HR in a number of different environments. This was a really good experience and I enjoyed working in media. I found I had to go into a bigger HR team to just expand on my experience and work towards a management role for a larger organisation. I worked for Wattyl Paints which was really good experience because it gave me independent responsibility working with senior managers but also access to a really strong mentor. I think mentors are really important in a career. Then I had a quick stint in retail before I came over to Fujitsu. I think Fujitsu is good as it’s technically a different industry again because with mainly sales and marketing focused industry. I’ve also had cultural exposure of working for a Japanese MD. HR is very much an integral part of the company which is great. Have you come across any challenges in the workplace because of your gender? After the birth of my daughter I returned to work part time even though she was very young. It was a difficult transition initially, between wanting to keep a foot in the workforce as well as be a great parent. During those early years of parenthood I struggled to find part-time roles that either had a balance of work/life or allowed me to contribute to the organisation. They really wanted someone who could be there all the time. At one stage I was made redundant from a part-time role with the Director commenting that the other HR person’s children were older so she could better cope with the demands of the position. Needless to say that wasn’t the right role for me. I continued to struggle with the work life balance, but when my son was two he said “Mum, I’d much prefer to be kicking the ball at kindy with the other children than at home with you.” That made me feel better, it was like the approval I needed to go and find a career role that allowed me to contribute strategically to the organisation. Organisations have varying degrees of flexibility, if you don’t have flexibility as a parent, as a working mother, it can be problematic. But at the same time, HR is a profession where you can drive flexible arrangements, in some cases potentially additional annual leave. They are all policies that I focus on not only for our employees but also to help me have a work/life balance. It depends who you work for but also the beauty of HR is it’s my responsibility to drive that flexibility and to educate the business on how they can provide that flexibility to be an employer of choice. With the industries that I work in I’m the only female senior Manager at times which can make it a tad lonely. I ensure that I network with my peers that have the same leadership values as me. I also belong to an external female networking group. Being a part of that group has really taught me to have confidence in myself over the last few years, as women tend to question whether they’re capable and worthy of sitting at the table with men. That’s been a fantastic network for me to have and I kind of wish I had discovered it earlier. It’s called NAWO, National Association of Women in Operations. I assist the organising as I’m passionate about the cause. We hear from lots of women who are working on boards and about their journey and how we have to improve that journey and improve that representation at the table. There are lots of different options NAWO has with mentoring and training and development. Attending the network meetings is where I’ve got a lot of my growth and confidence from. What will you be discussing at the Women, Management, and Work conference? I’m alumni from Macquarie’s School of Management and they could see I was very passionate about female leadership through my involvement in NAWO. My keynote address is about creating a high performing workplace through culture, and driving change. Having the right environment to engage the workplace and drive performance of the organisation overall. It’s a hot topic at the moment, there’s a lot floating around in the HR space about whether key result areas in measuring performance is relevant or whether it’s actually collaboration and leadership. It’s a really, really interesting topic that drives performance of the business. Statistics show that if you don’t have an engaged workplace the business is not as successful. I hope they can learn the importance of a good culture and how to drive that change; where to start to help their organisation succeed and to contribute to that. Why is the topic of gender balance in the workplace important to you? There’s many unnecessary stereotypes placed on working mothers and at times we also listen to the inner voice that questions whether you’re a good mother because you’re not present. I think my relationship with my children is probably stronger because I work and I know a lot of strong, intelligent women who are under-utilised because they chose not to work or to work in part-time roles. Women are very capable leaders because they have the strength to be an inclusive and collaborative leader. In some cases if a partner is sadly no longer around, a stay-at-home mother could be exposed. My brain is not wired for staying at home as I need to keep busy and challenged. By forging a career, we are good role models for our children, we’re encouraging them to be successful, independent and outgoing. My eight-year-old son makes better scrambled eggs than me and has done so for the last year. I had a friend that stayed at home for 17 years and one of her children just questioned her when he was young about whether or not she stayed at home or worked. Her life has consisted of waiting for the afternoon school rush. When I went back to work, I saw a lot of women who did not work, but a few years down the track there are a lot more children in after school care and they are collected by their fathers. It may be a necessity for some but it is good that they are working. I wish that I encouraged my husband to stay home. In Annabel Crabb’s novel The Wife Draught, she explains that out of 30 male CEOs interviewed, 28 had children and 28 had a stay at home wife. Out of 31 female CEOs were interviewed, 2 had self-employed, stay-at-home husbands, that’s a huge difference. There’s only a total of 3% of families where the mother works and the father is at home or works part-time. There are individuals who state that childlessness is still an advantage for your career. However the good news is is that the percentage of women on boards is slowly increasing, it’s currently at 20% which has more than doubled since 2009 when it was at 8%. My father was my mentor and I like to think that I am my children’s mentor – this generation is going through a shift. It’s really important to encourage both genders to do really well but particularly females because they have so much to give. For more information about Sarah and the Women Management Work Conference click here. This entry was posted in Featured and tagged collaboration, interview, management, manager, women. Bookmark the permalink.